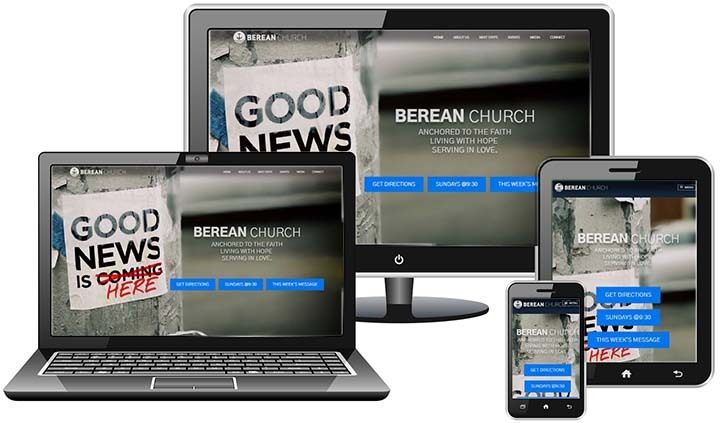 Berean Church was looking for a new website. Their original site was pretty to look at, but it just wasn’t getting the job done for the church and their staff was not able to update and maintain the site. Their new site featured a streamlined and efficient layout, a sermon archive and calendar, social media integration (one click posting to all your social networks), and integration with MailChimp for easy email marketing. In addition to the site they contracted me for onsite coaching and now the staff is posting new content like pros. Berean Church was the first site to use my updated custom theme framework, designed for speed. When the site was delivered it scored a 99/100 on Google Page speed. The framework is coded to take advantage of loading scripts and CSS files into the footer and uses CSS grid layout and HTML5 to keep the site code light and quick.